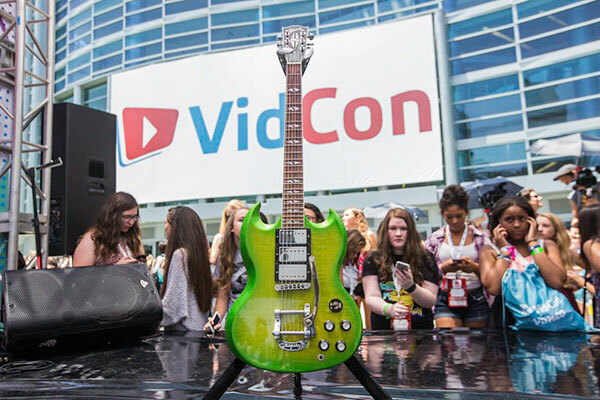 Gibson Brands put its own indelible stamp on the festivities at this year’s VidCon convention, staged last week in Los Angeles. Kickstarting the festivities was the Gibson Trixin Party, which featured acoustic performances staged at the Gibson Showroom. Colorfully hosted by Trixin’s Shay Carl, the 1-1/2 hour concert showcased up-and-comers My Fair Fiend (who just wrapped production of their second album), 17-year-old Macy Kate (the youngest-ever performer on the Vans Warped Tour), second-year VidCon participant Jackson Harris (fresh off a tour with Cody Simpson), and We The Kings frontman Travis Clark (who stunned the crowd with a beautiful, unplanned version of We The Kings’ hit, “Just Keep Breathing”). 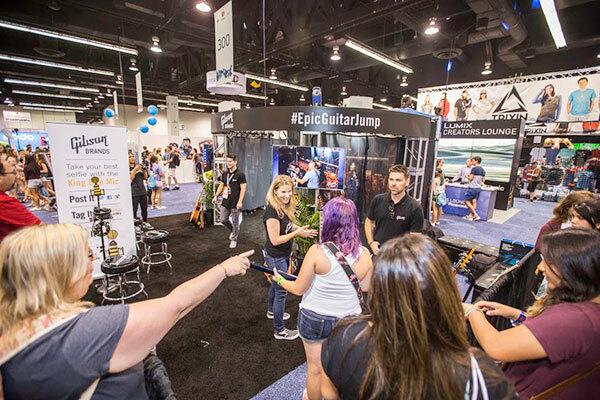 Throughout the show, attendees were encouraged to take part in the “Epic Guitar Jump.” The ultimate photo-op, the “Epic Guitar Jump” involved leaping, guitar in hand, in front of 24 Canon cameras situated in a 180-degree half circle, the better to capture a panoramic view of the “leaper” in mid-air. 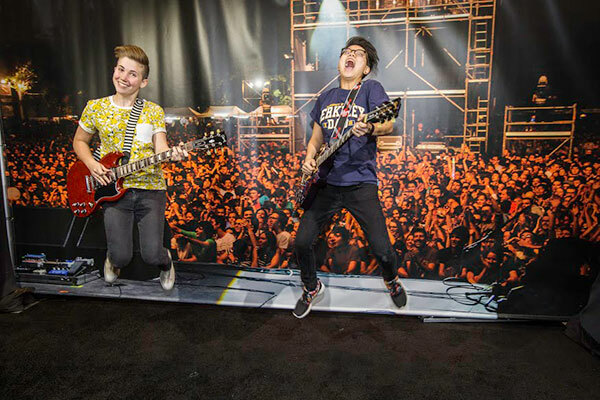 Later, the guitar-jump was also a prime attraction at the Gibson booth inside the VidCon convention facility. 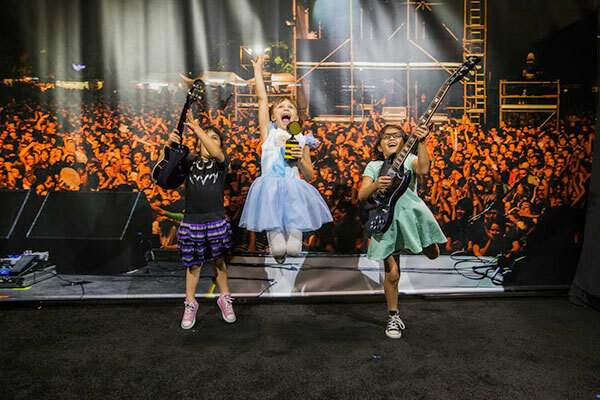 Needless to say, an array of beautiful Gibson guitars, as well as other Gibson Brand products, was featured throughout, and a grand time was had by all. 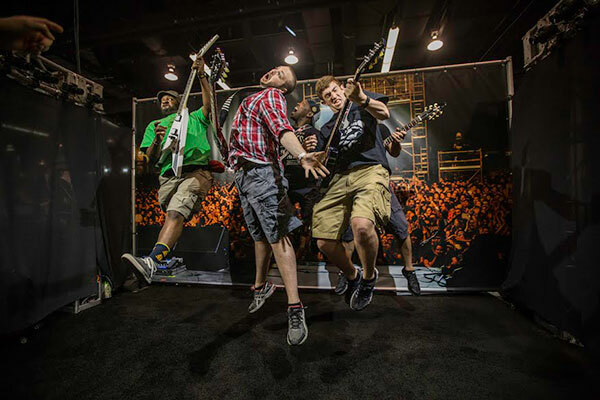 Below is a full stream of the Gibson Showroom concert, as well as several photos capturing the high spirits in evidence throughout this year’s spectacularly successful VidCon event.